I don’t take for granted one second that I get to wake up every day and do what I love. I constantly get questions about what it takes to be full time in the social media and online world. Well for me, it all started just a few years ago with a little blog that grew into so much more. I know a lot of you guys are interested in the digital community too, so I thought I would make today’s post be all about the baby steps of starting your very own blog! The first thing you need to do is click HERE. I’ve made several sites with other hosting companies and this one BY FAR is my favorite. Plus, it’s very inexpensive and most importantly, user-friendly. 1. Click the link above, then press the GET STARTED NOW button. 2. 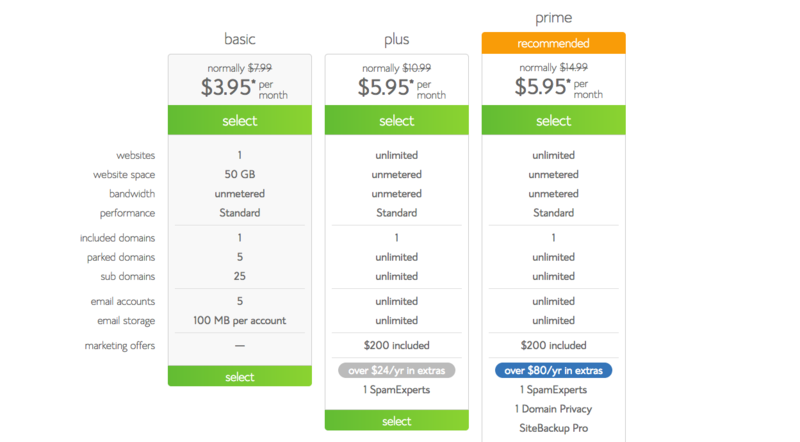 Select your Plan- I recommend just starting out with the Basic, if you end up needing more space, you can upgrade it at any time. Choose your plan and then press SELECT. 3. 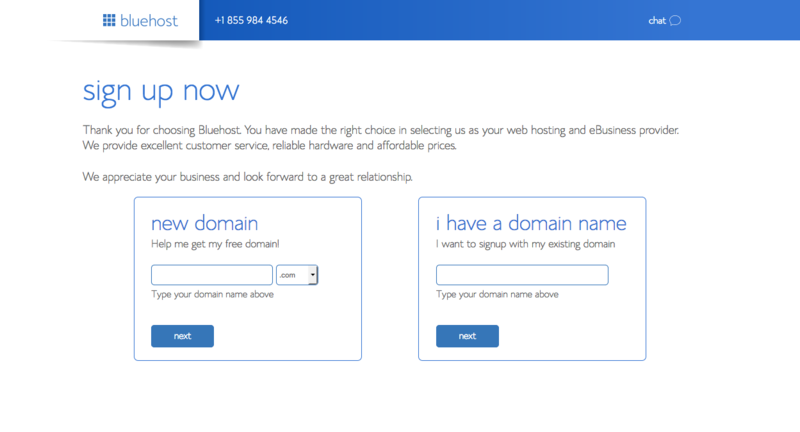 Pick your Domain Name- Another great thing about Bluehost is you get your domain name FOR FREE! Whoop! If you already have a domain name, you can import it and save this free one for a later time. If you are claiming the free domain now just type in whatever you want your name to be and hit NEXT. 5. Scroll down & it will say “Package Information” box. There you will choose 12, 24, or 36 months. The price will get cheaper the longer the term. However, you can always upgrade and get the cheaper price later if you wish to extend it so I would probably 12 months to get started but that’s just me! 6. It will automatically check the “Domain Privacy Protection” which is .99 a month. This service protects your privacy so people can’t see all your info (name, address,etc.). I did this on all of my websites but it’s up to you, you can always uncheck that box, I didn’t check anything else, you don’t need it. All Voolia! You have your domain & web hosting!! 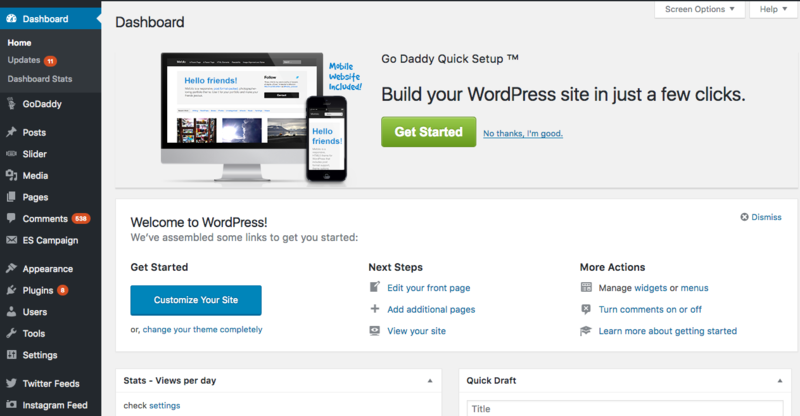 Now you are going to want to install WordPress on your brand new site. 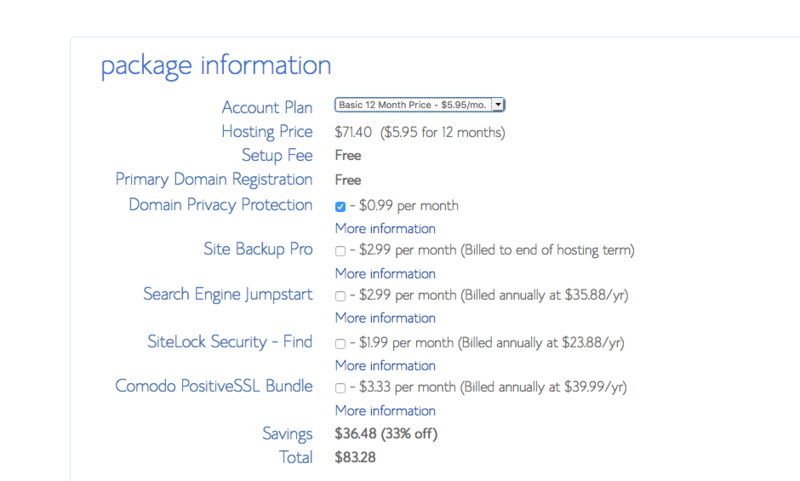 You will get an email from Bluehost shortly after payment that will lead you to your dashboard which will look like this. After you click INSTALL NOW you will be redirected to this page where you will select the domain name you’ve already chosen or imported. Leave directory blank. 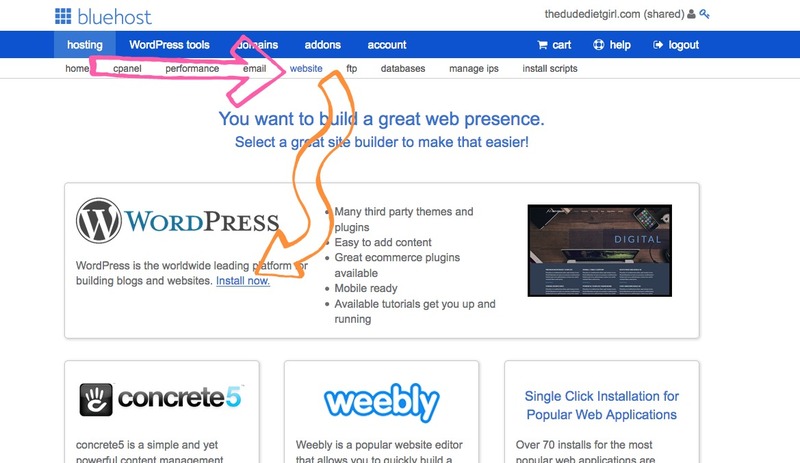 Now, I’m not going to do this next step because I already have a site but you’ll want to create a site name and all your admin info for WordPress. 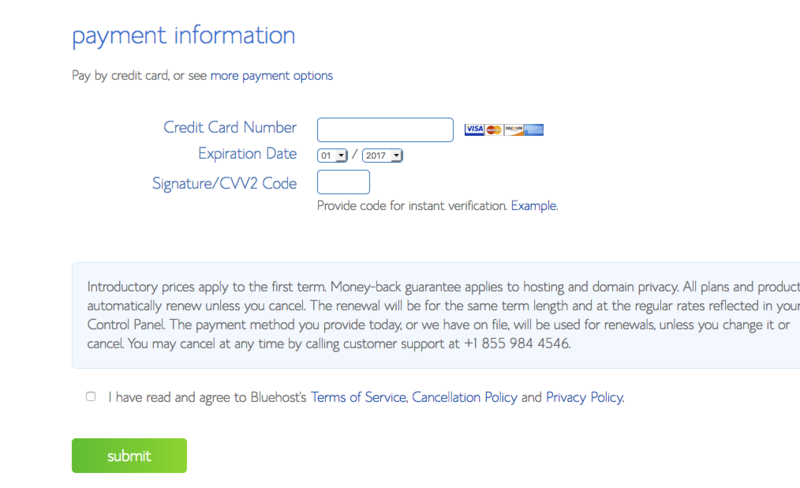 Make sure you write this down, it’s completely different from your Bluehost info. 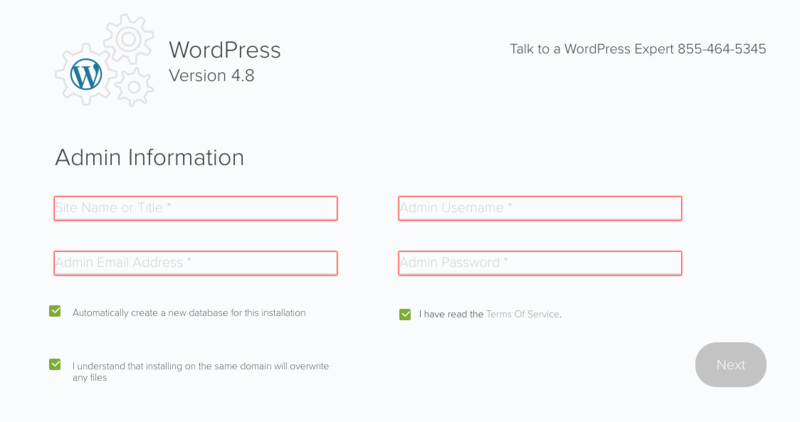 After you finish that, you will be sent an email with WordPress successfully downloaded to your site and be able to use your login to access your WordPress dashboard which should look something like this. There y’all have it!! 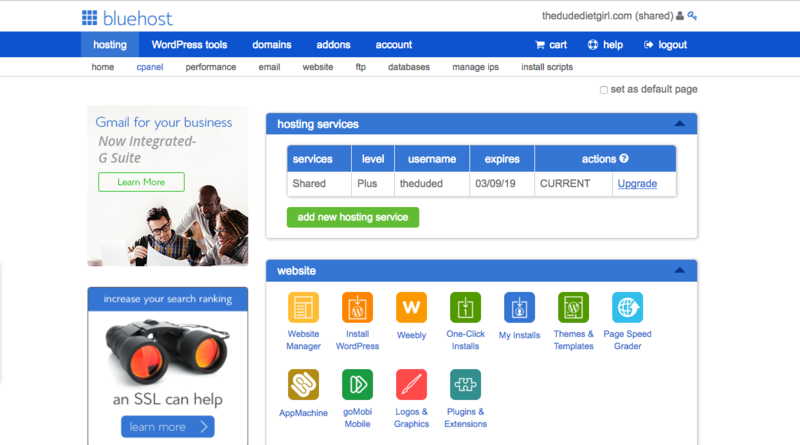 You’ve officially bought your web hosting, picked up a domain name AND installed WordPress in less than 15 minutes!! Next, you will want to install a template theme which I will make a separate post on. Stay tuned!! I hope this helped you get started on your blogger journey. I’m so excited you’ve decided to enter the digital creative space!! Please feel free to email me or DM me on Instagram @MadzPayne if you have any questions! !